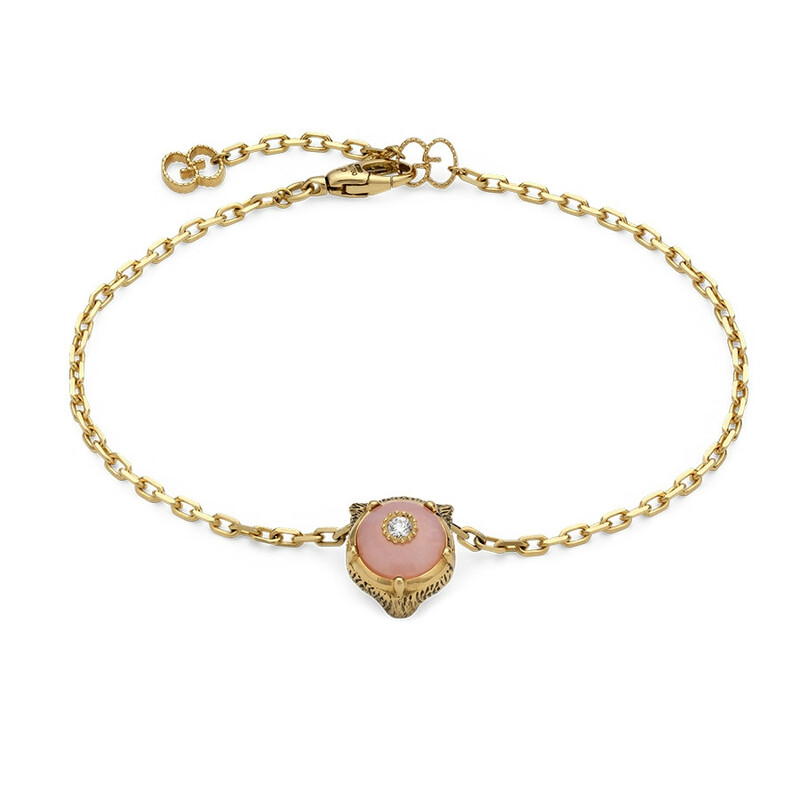 Representing the pinnacle of Italian craftsmanship, this Gucci Le Marche des Merveilles charm bracelet features a feline head pendent with precious diamond-set eyes. On the back side of this intricate feline charm you will discover a captivating pink opal stone resting beneath another luminous diamond. Either way you sport this bracelet, you will be enticing your exotic fashion sense with a glistening touch.